We went to the Auto Expo this past weekend, she loved sitting in all the new cars. 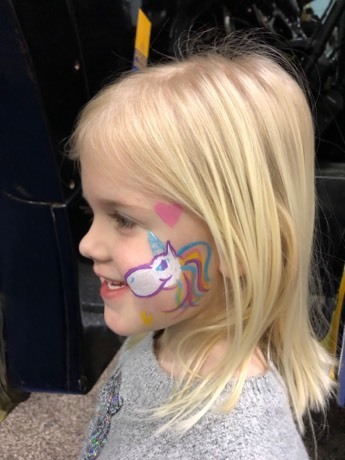 And more so enjoyed getting her face painted with a lovely unicorn. Sunday after church, made a pit stop at Meijers to return some things. 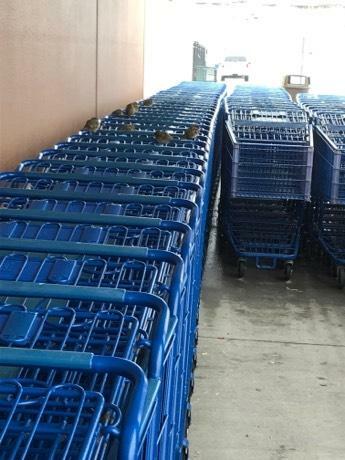 While I was waiting for Kevin to pick me up, these birds were just chilling on the carts while it was blistery cold out! Pretty chill weekend for us. Took naps, cleaned the house, dreamed about new cars, went to church, and chilled some more. Love weekends like those. Happy Monday! Make it a great week!